In line with the launch of its new ready-to-drink UHT milk, Fernleaf is motivating Malaysians to GO FOR GREATNESS, supported by a can-do attitude and 100% milk goodness from New Zealand in the start of 2018. Karen Ong, Marketing Director of Fonterra Brands Malaysia explained at the new product launch that greatness comes in small and big ways in their lives. “Whether it is getting to work on time, lifting your child or some grocery shopping bags, exercising and carrying a school bag, they are greatness in their own ways as we all need mental and physical push in the form of energy and positivity to go through our day!” she said. 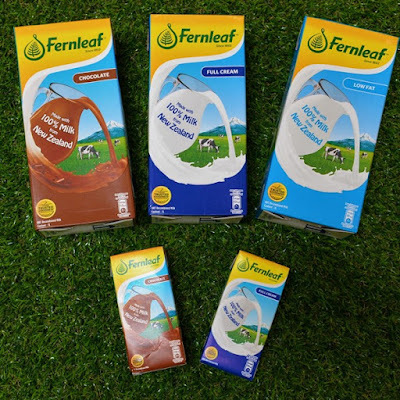 “With 100% milk goodness on-the-go, Fernleaf hopes to motivate Malaysians to pursue greatness in life, starting from greatness in our everyday life, especially when they are at work or having fun with friends and family,” she continued. 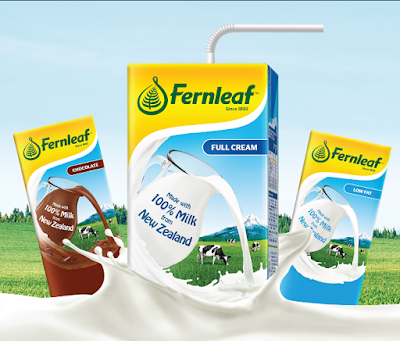 Fernleaf milk, now available in an all-new convenient UHT packaging, is suitable for the whole family. Packed with important nutrients like protein, vitamins A and D, and calcium, it helps Malaysians get a boost of nutrition and energy wherever they are and always be ready for their greatness goals. Elaborating on the source and production of Fernleaf milk, Ong said: “Many consumers know that Fernleaf milk comes from New Zealand. But not many are aware that it is backed by a larger network committed to dairy excellence. Its mother company, Fonterra, is a global dairy nutrition company owned by 10,500 farmers and their families, all united by a fundamental belief in the power of dairy to make a difference”. She explained that the Fonterra family, which has grown exponentially and spread across four continents worldwide, is united by their stringent standards for dairy quality. It is this commitment and no.1 brand of family milk in Malaysia that makes Fernleaf the Trusted Goodness™of Malaysian mothers for their families. 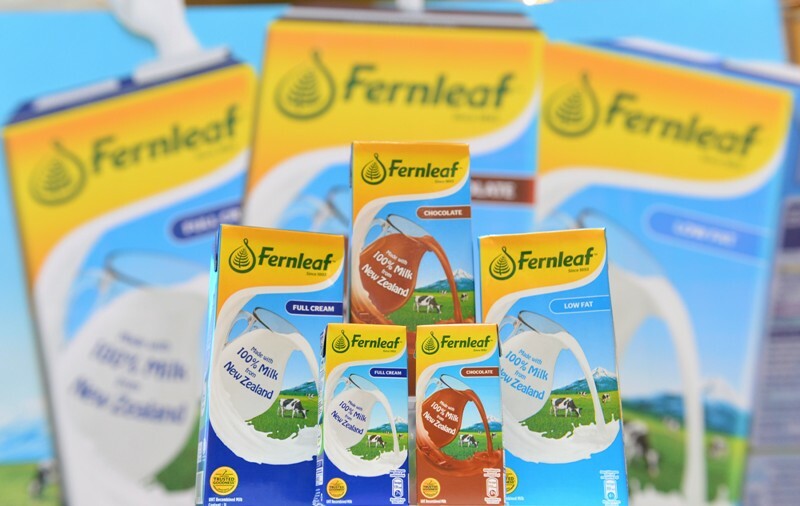 “Over the past 30 years, Fernleaf brings the goodness of dairy from our New Zealand farms to families across Malaysia, providing nutrients that contribute to a healthy and balanced diet. “Just like the Fonterra farmers who advocate the power of milk to improve lives, Fernleaf believes in the goodness of New Zealand dairy to make a difference in building a healthier Malaysia,” she added. To motivate Malaysians to reach greatness, Fernleaf invites Malaysians young and old to join in some climbing fun that is sure to elevate spirits. A wall-climbing challenge and other exciting activities await at LG Oval, 1 Utama Shopping Centre from 10th to 14th January – so join Malaysians from all walks of life to tackle the challenge! Get Fernleaf UHT milk for yourself and your family and let the dairy goodness from New Zealand keep you 100% ready to go for greatness! It is retailing at hypermarkets, supermarkets and stores nationwide at RM5.70 in a set of four packs (200ml each pack) and RM6.60 for every 1-litre pack. Fernleaf UHT Milk comes in three delicious variants – full cream, low fat and chocolate – to appeal to different tastes in the family. To know more about the locations and happenings of the Fernleafwall-climbing activities, check out and ‘like’ Fernleaf Facebook for the latest updates as well. Over the past 30 years, Fernleaf has been bringing the goodness of the finest dairy from New Zealand farms all the way to Malaysia, providing nutrients to families so that they are able to maintain a healthy and balanced diet. With over a century of experience in the industry, Fernleaf believes that quality comes directly from the source. Only fresh milk from grass-fed cows, combined with advanced farming systems and utmost care in every single step of production, can promise you one of the highest standards of goodness in dairy nutrition. Fonterra is a global leader in dairy nutrition – the preferred supplier of dairy ingredients to many of the world’s leading food companies. It is also a market leader with its own consumer dairy brands in New Zealand and Australia, Asia, Africa, the Middle East and Latin America. Fonterra is a farmer-owned co-operative and the largest processor of milk in the world. It is one of the world’s largest investors in dairy research and innovation drawing on generations of dairy expertise to produce more than two million tonnes of dairy ingredients, value added dairy ingredients, specialty ingredients and consumer products for 140 markets. Fonterra Brands Malaysia began its operations in 1975 in Shah Alam. Today it has two manufacturing plants, Susumas and Dairymas and a total of 700 full time workers dedicated to bring the best in dairy nutrition to Malaysians. All dairy products by Fonterra Brands Malaysia are certified Halal by the New Zealand Islamic Development Trust (NZIDT), which is recognized by the Department of Islamic Development Malaysia (JAKIM) as in accordance with MS1500:2009, the international standard used by JAKIM. Fonterra Brands Malaysia also adheres to international and local industry standards including HACCP, Veterinary Health Mark, ISO 9001:2000 and GMP. Fonterra in Malaysia is known for its leading brands Anlene, Anmum (Materna, Essential and Lacta), Fernleaf, Calciyum, Chesdale and under its foodservices division, Anchor Food Professionals, it is known for Anchor, Mainland and Perfect Italiano.